Our group is based in the Biology Centre of the Czech Academy of Sciences, Czech Republic, with field work being carried out mainly in Borneo and New Guinea. I am interested in the way that species interactions change along a range of environmental gradients, including altitude, latitude, and athropogenic habitat degradation and the potential implications of these changes for rates of ecosystem processes. I work with a range of arthropod groups and habitats, although with a particular focus on rain forest ants. My work is funded by the Czech Science Foundation, the European Research Council, the Australian Research Council, and the South East Asian Rainforest Research Partnership. 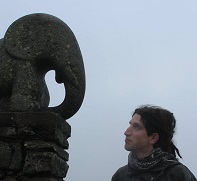 Mickal has interests in community ecology, mechanisms of coexistence, and niche plasticity with a special focus on ecosystem functioning and stability. 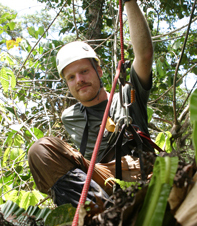 During his PhD at the University of Mainz he focused on tropical ant communities and their trophic functioning, comparing the old and new world and differing types of forests. His work has given him the chance to discover the beautiful natural wildlife of South America, Australia and currently Malaysian Borneo. 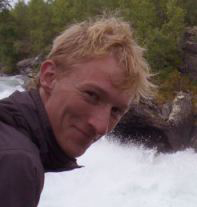 Mickal recently joined our group and is working on the impacts of tropical forest degradation and fragmentation on ant-plant mutualisms, and consequences for plant community dynamics. 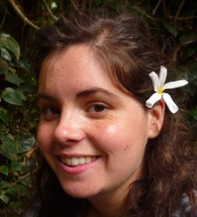 Nic is an ecologist interested in species interactions, with a special focus on ant-plant interactions and community ecology in the tropics. During her PhD, she studied arboreal ant communities in the remote rainforests of Papua New Guinea. 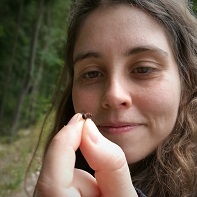 Her research investigated how communities and species interactions change with elevation and disturbance, by studying the microhabitat use, the behavioural ecology, and the functional and phylogenetic diversity of arboreal ants. She is now working on the impacts of invasive ant species on ant-plant mutualisms. Jirí is investigating the way that predatory interactions between soil-dwelling ants and termites are affected by logging and fragmentation of rain forest and conversion to oil palm plantation, and the potential implications of these changes for soil properties. This work is funded by the Czech Science Foundation, with field work being conducted in collaboration with the Stability of Altered Forest Ecosystems project in Sabah, Malaysia. Lois is interested in the effects of habitat modification on insect herbivores and herbivory rates in tropical rainforests in Malaysian Borneo. In her first year she will focus on how plant-insect herbivore dynamics are affected by logging history at both ground and canopy levels. This research will be carried out within the Stability of Altered Forest Ecosystems (SAFE) landscape and it is hoped that the effects of fragmentation and conversion to oil palm will be investigated in year two. 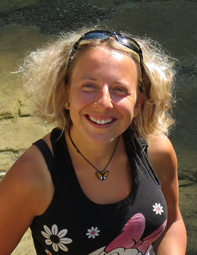 Lois’ research will contribute to a larger project studying the effects of forest modification and fragmentation on the tri-trophic plant-insect herbivore-predator matrix. Dan is working on a project focusing on the effects of habitat degradation on the Crematogaster-Macaranga ant-plant mutualism and on the effect of this mutualism on the environment. His is mainly involved with investigating dispersal limits of the species involved, which may have profound effects on abilities of partner to persist in the system. He previously worked on a related topic of butterfly (meta)populations. This work is funded by the Czech Science Foundation. 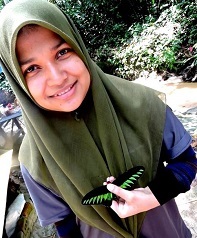 Asmah is interested in insect ecology, in particular in the way that species are affected by disturbance of forest and expansion of agriculture. Currently, she focuses on studying impacts of forest fragmentation, land-use change and El Nino on ant communities in tropical rainforest. The work funded by the Czech Science Foundation and the South East Asia Rainforest Research Partnership, SEARRP. 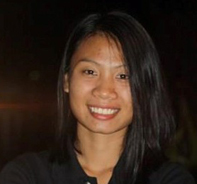 Wanji is interested in the way that the mutualistic interaction between Crematogaster ants and their host Macaranga trees is affected by logging and conversion to oil palm. This has implications for regeneration of degraded forests. This work is funded by the Malaysian Minstry of Higher education. Amy’s work focusses on the impacts of canopy simplification due to logging in terms of vertical stratification of ants. She is also investigating the differences in vulnerability between different microhabitats to habitat degradation. Jana performs the vital job of ensuring that everything laboratory or admin related runs smoothly. 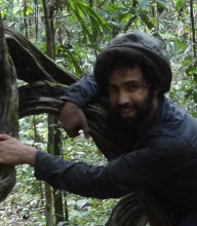 Jimmy investigated the way that ant communities shift with altitude on Mt Wilhelm in Papua New Guinea. He also assessed parallel changes in ant nutrient limitation and scavenging activity. 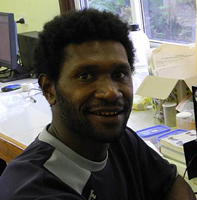 Jimmy's work was funded by the Darwin Initiative for the Survival of Species UK, Christensen Foundation (USA), and the New Guinea Binatang Research Center. He graduated with distinction and is now doing a PhD at University of South Bohemia, Czech Republic, with Petr Klimes and Vojtech Novotny.